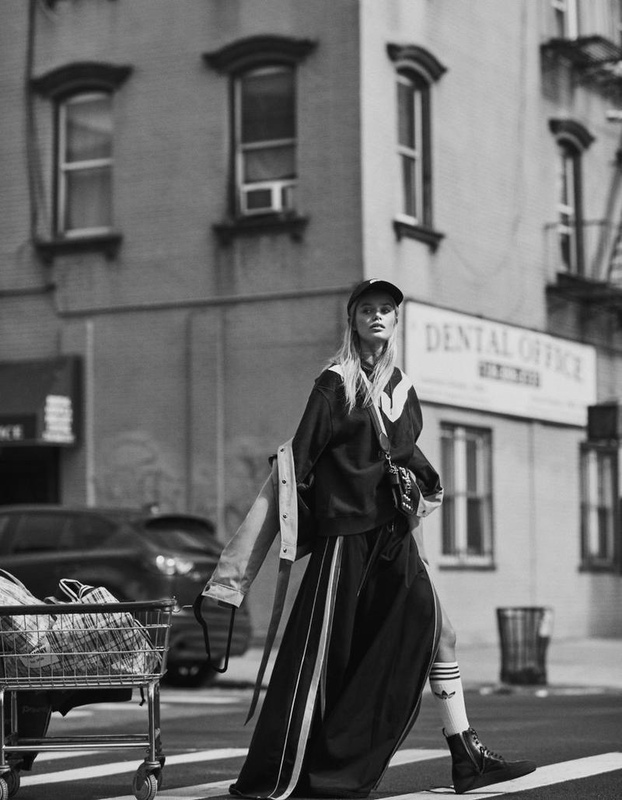 Frida Aasen heads to the streets of New York City for the December 2017 issue of ELLE China. Photographed by Primol Xue, the blonde beauty poses in sporty styles featuring everyday pieces. Stylist Sean Huang makes sure Frida stands out from the crowd in knit sweaters, denim and sneakers. The Norwegian model wears the designs of adidas, Loewe, Chanel and more.